The Ghana National Chamber of Commerce (GNCCI) has donated assorted items worth GHȼ60,000 in support of the Ghana School Feeding Programme (GSFP). The gesture was in response to an appeal made by the Senior Minister, Mr Yaw Osafo-Maafo, through a letter to business associations and other corporate entities to help support the GSFP. The items presented included 2,500 pieces of plates, 2,600 pieces of cutlery sets, and 2,600 pieces of cups. Speaking at a ceremony to present the items last Wednesday in Accra, the President of the GNCCI, Nana Appiagyei Dankawoso I, said: “We are here to support the school feeding programme in order to improve it for our children in schools. “Being the representative voice of the private sector of Ghana, we saw the need to pave the way for all others to emulate,” he added. The Minister of Gender, Children and Social Protection, Ms Cynthia Morrison, commended the GNCCI for its support, particularly on a day that marked World Children’s Day, which is celebrated on November 20, annually. She said the GNCCI had opened the floodgates for others to donate and also thanked the senior minister for making the appeal. 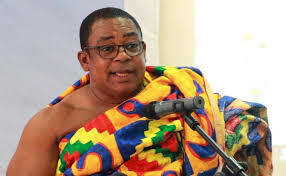 For his part, Mr Osafo-Maafo, urged private sector organisations and individuals to support the government’s social interventions such as the school-feeding programme with donations. He commended the GNCCI for being the first organisation to respond to his plea for support for the programme.